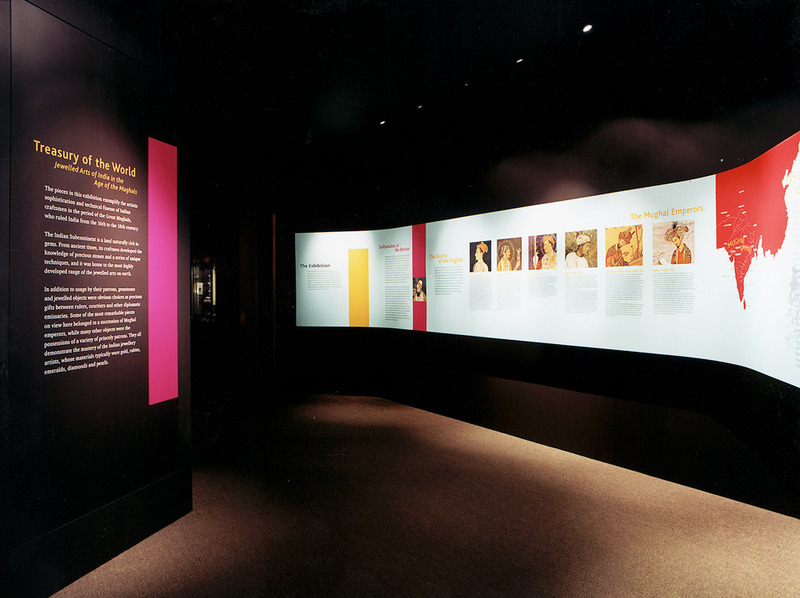 A temporary travelling exhibition to display this magnificent collection of Mughal jewellery. The graphics were inspired by the rich vibrant colours of Indian silks and spices. 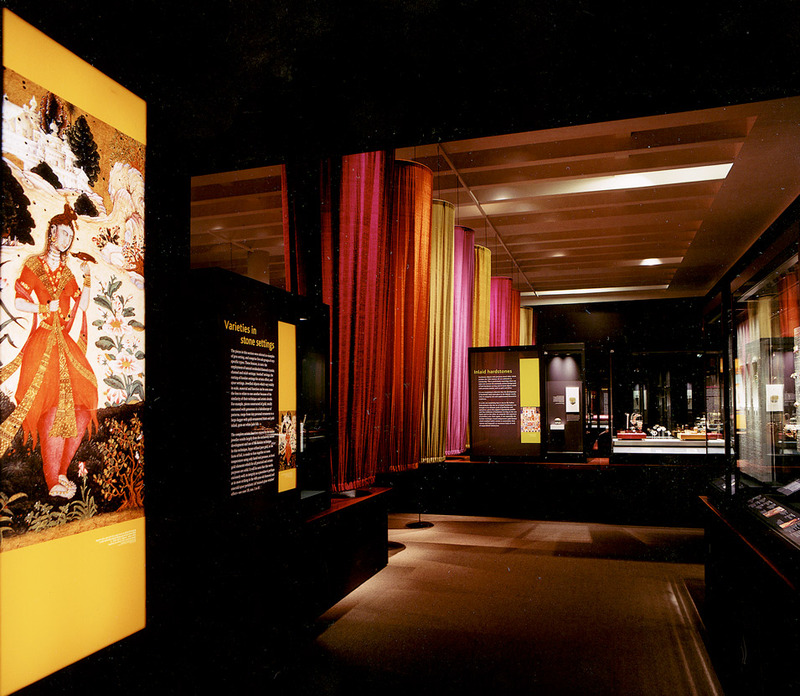 The low ambient light levels in the gallery were punctuated by enlarged back-illuminated Mughal miniature paintings, this together with gold leaf titling, added an appropriately sumptuous backdrop to the jewellery and artefacts on display. Role: Graphic design for exhibition and promotional material, artwork and installation monitoring.